For some reason, in this cold rainy weather, I feel the need to eat superhealthy. I feel like I need the energy and power that clean, green foods can provide me. When it's so dreary outside I feel drowsy from the moment I wake up. It's funny how strongly the weather can affect our moods and sleep patterns! Instead of moping around, I pull on a pair of sweatpants, cuddle up with a book, and try my best to be calm and take advantage of the warmth of my bed while Avi naps. Later in the afternoon, I'll find comfort in the nook of my kitchen making a warm and healing dinner. Most of the time it'll revolve around some organic brown rice like so many of our dinners, but on a night like last night, I feel like we really need some dark leafy greens. They are so amazingly nourishing and healing. They are maybe the best foods we can eat and we should try to get them into our diets daily if not meal-ly (ha!). Chlorophyll is molecularly similar to hemoglobin which is why people say taking a wheat grass shot is like getting a blood transfusion! That said, I think wheat grass shots are a little intense for my body. It always makes me feel jittery. 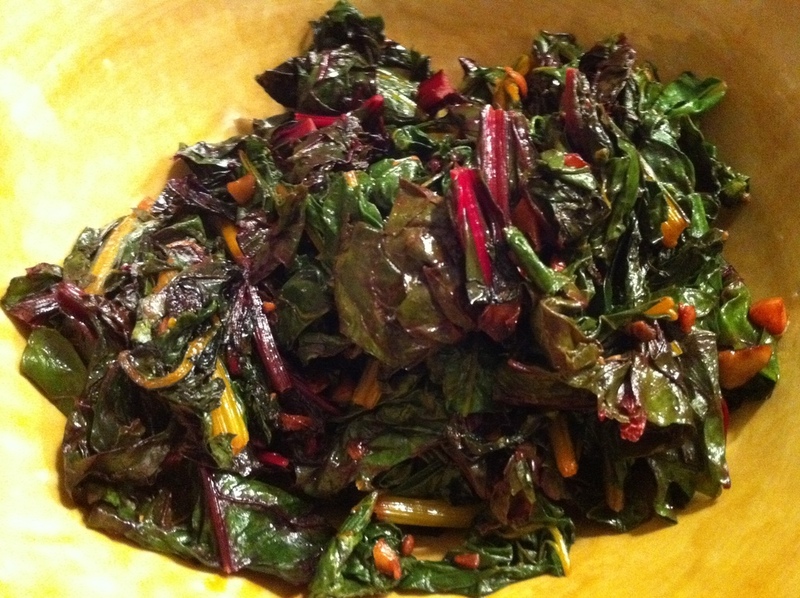 Dark Leafies are a great way to get all that chlorophyll, iron, calcium, and magnesium in one tasty dish! I love to saute mine with some olive oil and freshly chopped garlic. How do you all prepare your greens?